Hardly bursting with insight and revelation, but a good introduction. 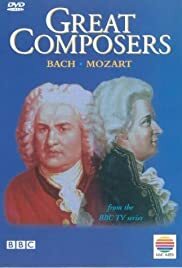 This is one of the better programmes on classical music, which strives a little too hard to connect biography to the work. TV has done notoriously badly by classical music. When it can be bothered to make programmes at all, it usually simplifies the subject for the benefit of the uninitiated, leaving the more discerning listener frustrated, denied of real meat. There was much criticism of this series that some of the composers treated were too lightweight (Puccini, Tchaikovsky), and it is true that the experts and defenders allotted to these are not up to the same standard as the Mozartians (you're in trouble if you need Simon Callow to put in a good word), and the quality of criticism quickly plummets ('Tchaikovsky appeals to your heart' Er, thanks!). The biographies are solid, if predictable - slightly prurient, which makes a change from hagiography - with facts interspersed with letters, contemporary accounts, scholarly glosses and performers' interpretation, all serving the annoyingly brief excerpts from the music (you can't put Mahler into bitesize snippets! It sounds silly). Maybe if they just played the music, we could discover why it's so inspiring, rather than have it spelt out for us by some 'authority', although many contributors do make impressively accessible technical points that enrich one's understanding of a piece. The best edition was perhaps the Wagner one (although Puccini's had some hilariously salacious gossip from old neighbours); the issues raised by his life and music are very disturbing, and require caution and thought, whereas with, say, Beethoven, you can just trot out the legend. Why though weren't we told anything about Puccini's fascism (Mussolini made him a senator). Isn't this important to know when thinking about his music? The Tchaikovsky one was editorialism gone mad, with some bizarre visual literalisms of the composer's statements, that were weirdly effective. Each programme had its unexpected pleasures, like a trivial anecdote that suddenly humanised an untouchable genius, or the haunting faded footage of Puccini out boating with his hunting buddies on a lake, a mournful reminder of the loss of this music to the strange historical vacuum that left with us with John Cage's silence. There's the subject for a documentary: WHY can't we have music like this any more? As for this series, if there's to be a second, how about Handel, Rossini, Mussorgsky, Johann Strauss Jr., Richard Strauss and Stravinsky?